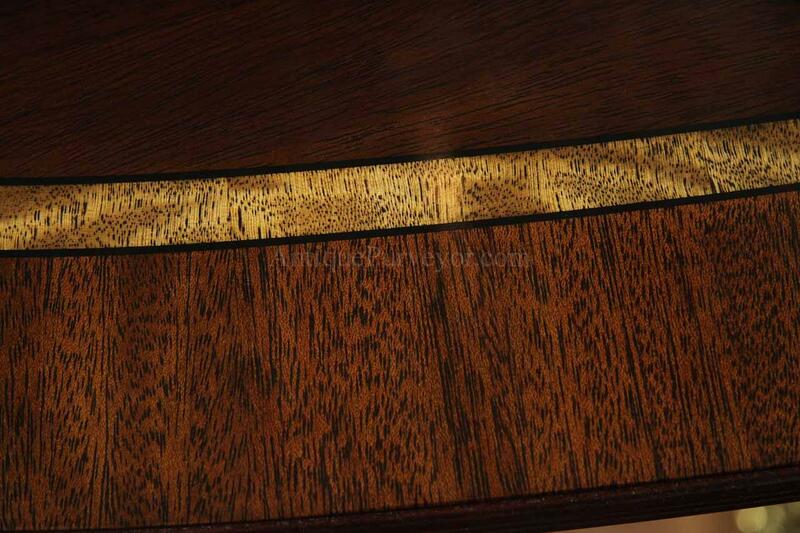 Shown with 1 leaf in place, and two in background. 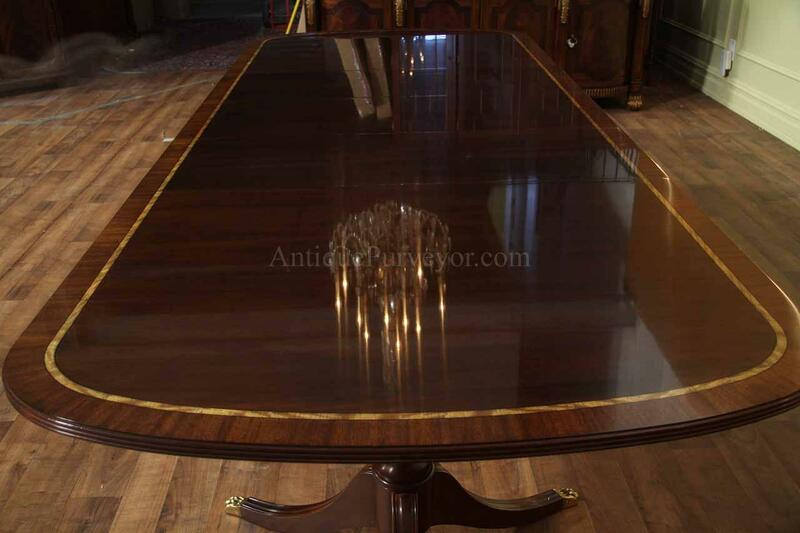 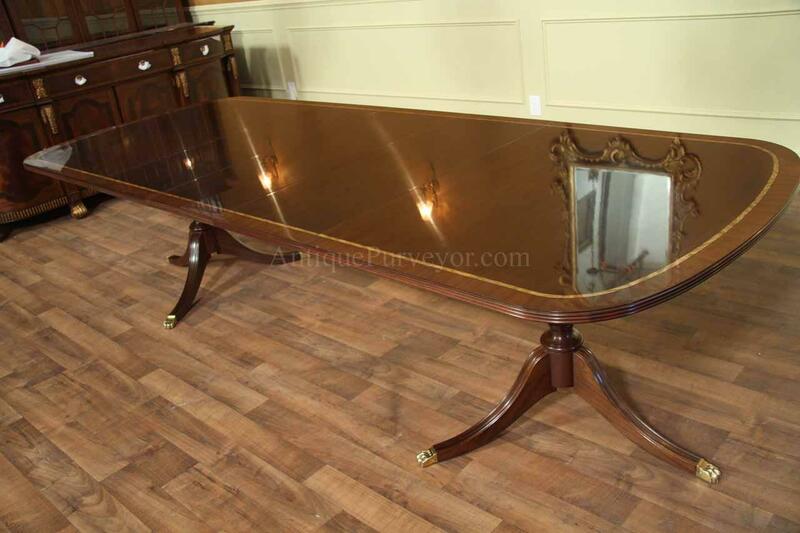 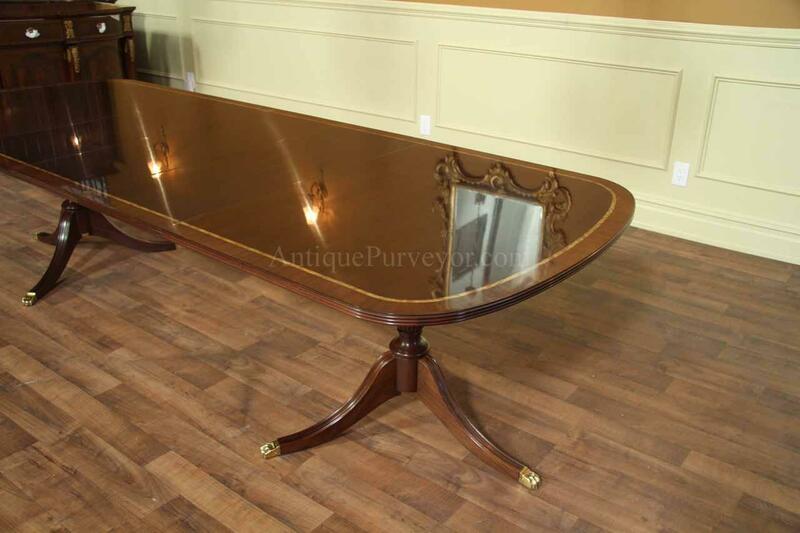 Description: Fine American made mahogany dining table with satinwood inlay and rich cathedral mahogany field. 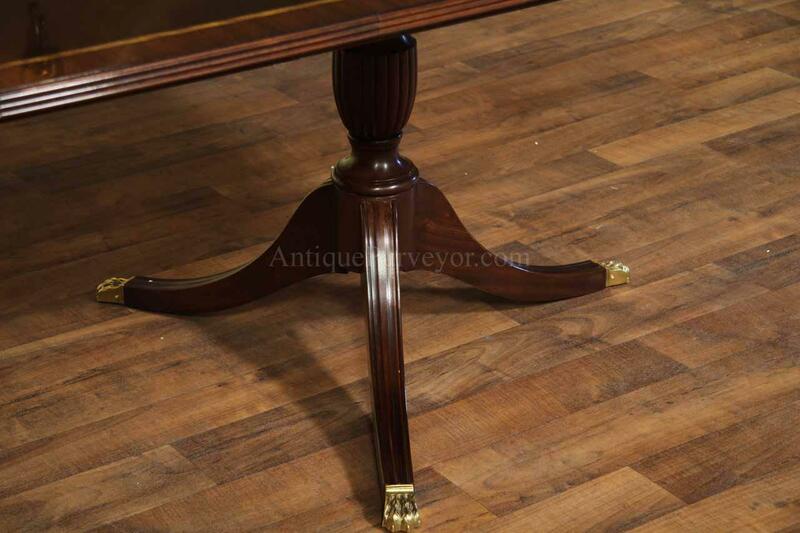 100% made in the USA, this table's heirloom quality is apparent as soon as you set eyes on it. 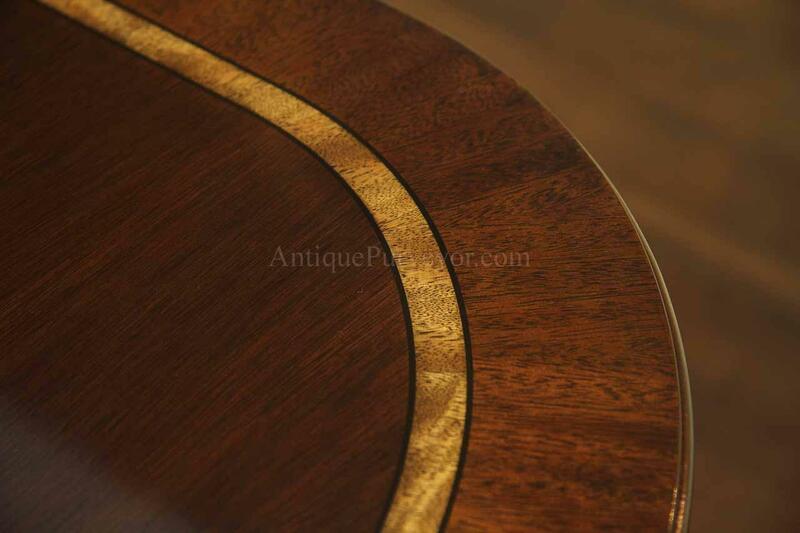 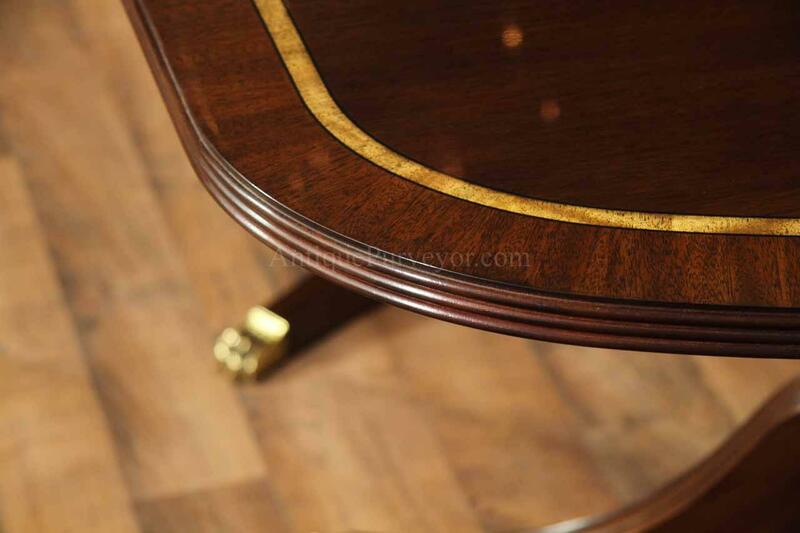 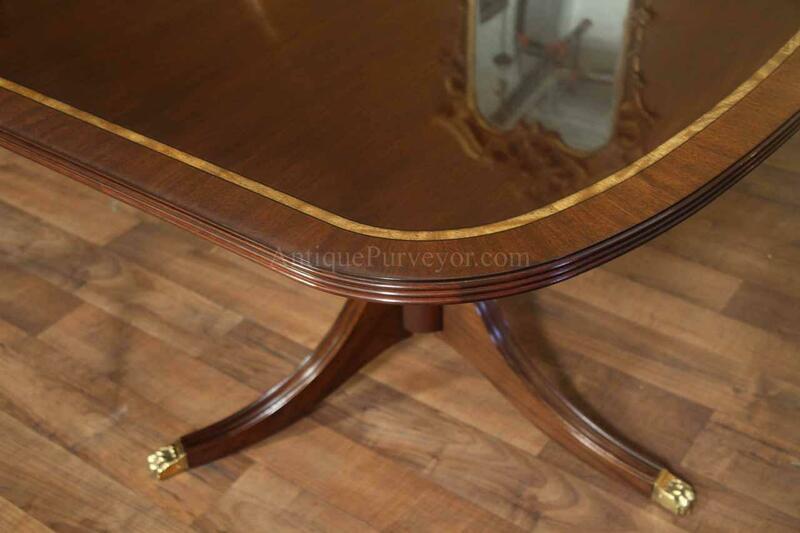 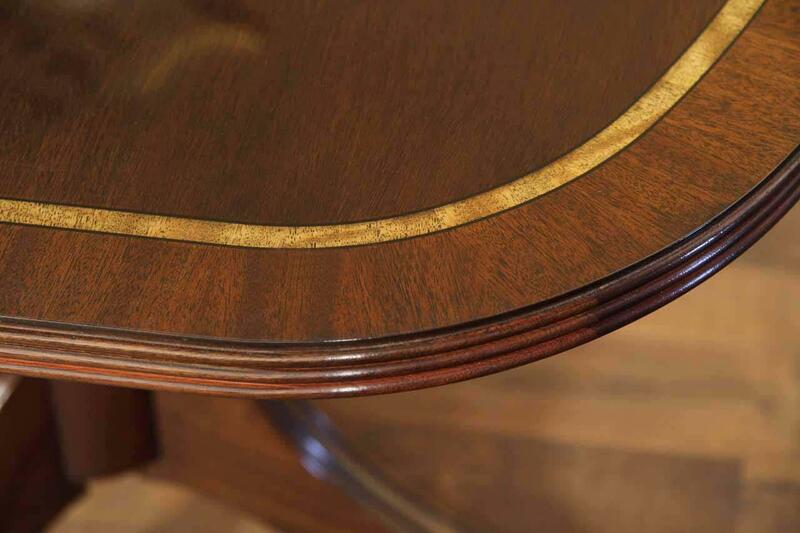 When further inspecting the table's elements you will find crisp inlays, level finish and well constructed pedestals. 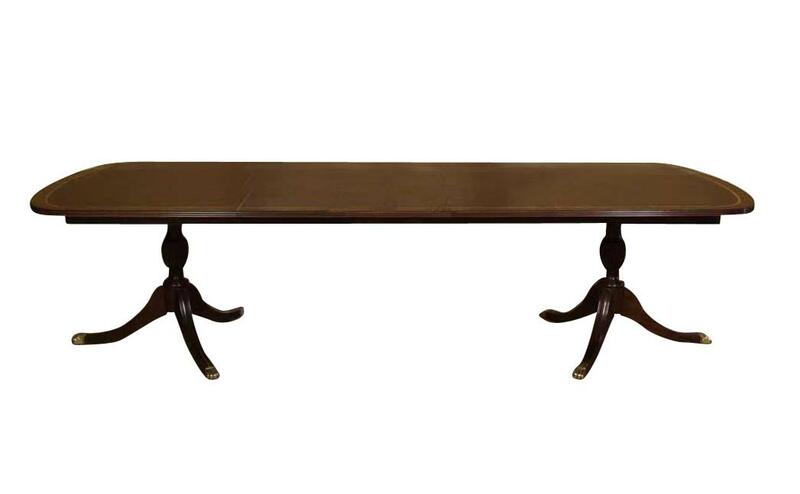 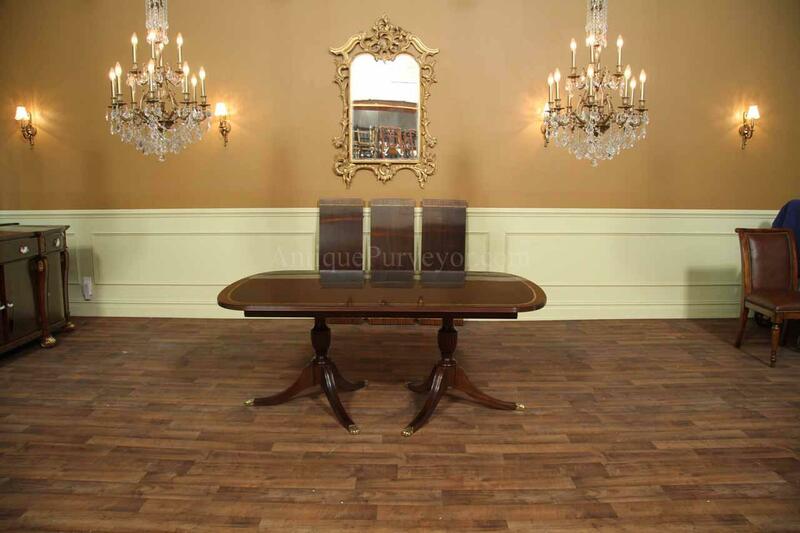 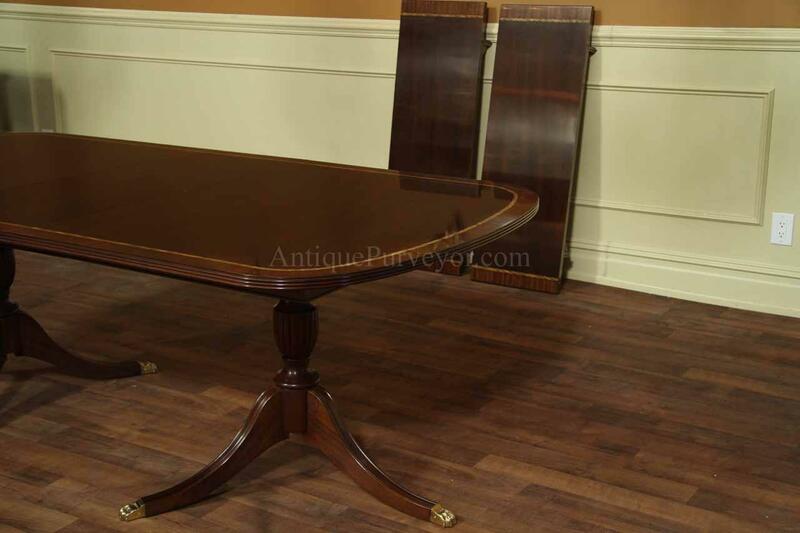 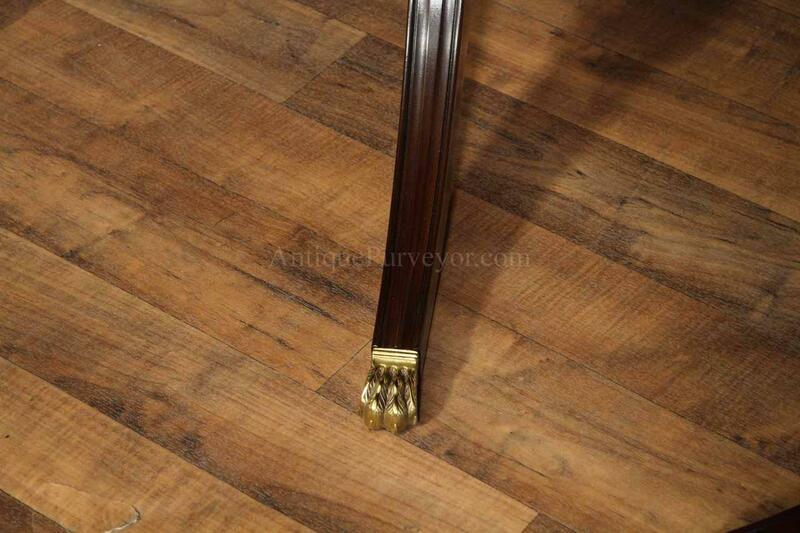 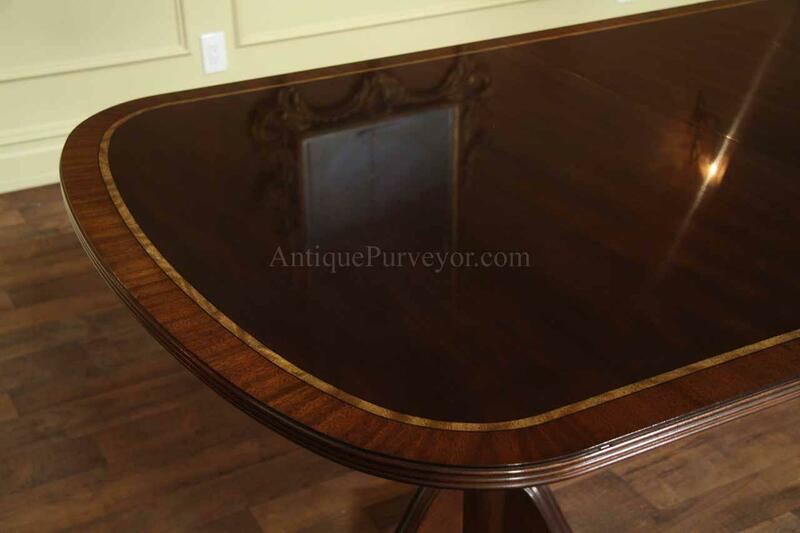 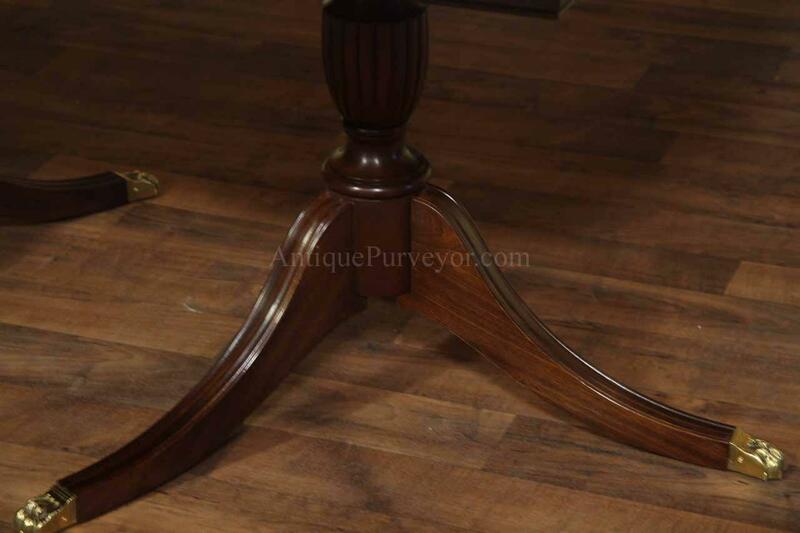 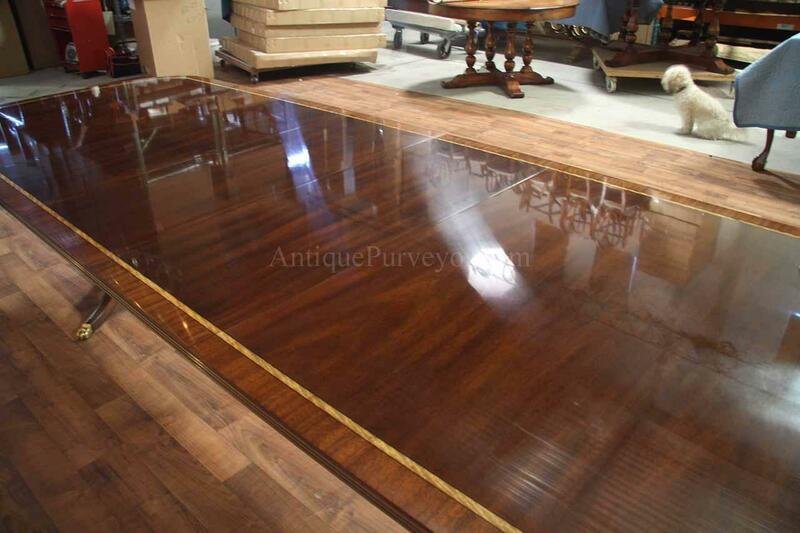 This table has a dark chocolate brown finish which is typical to a classic period table from the 18th century. 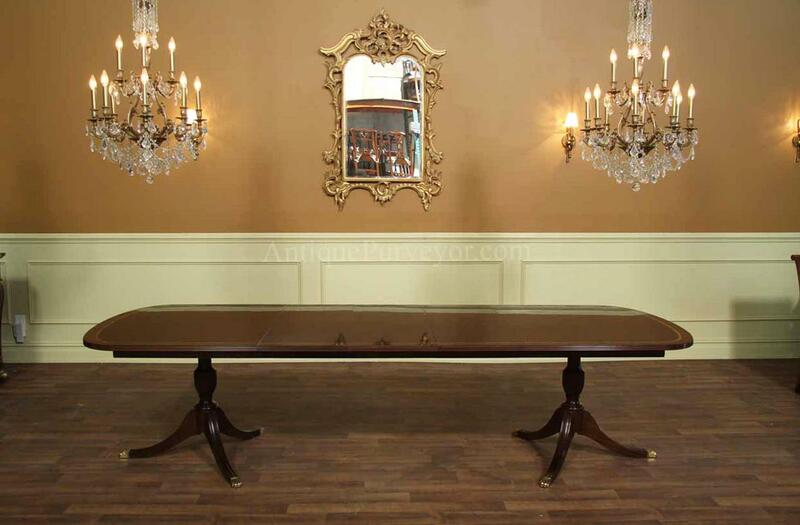 This table opens to 10 feet or 120 inches with three 16 inch leaves and will comfortably seat 12 people. 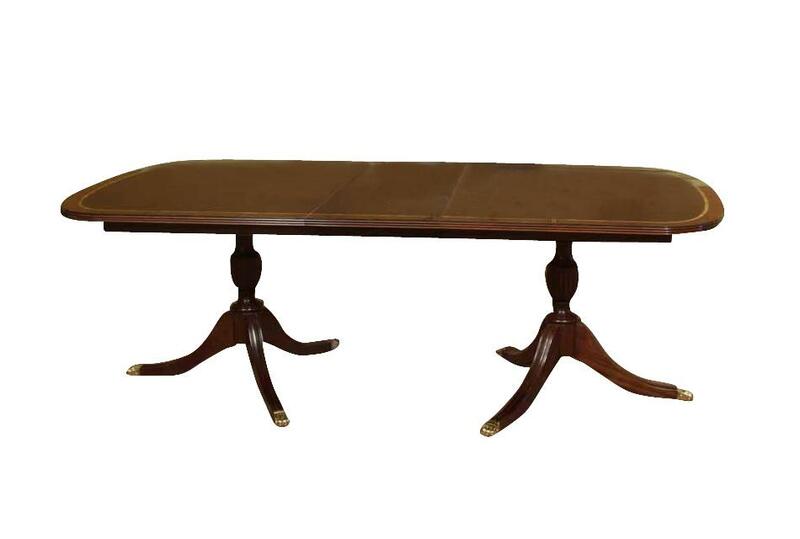 We show this table in a few size configurations to give you a better idea of how it will arrwange in your home. 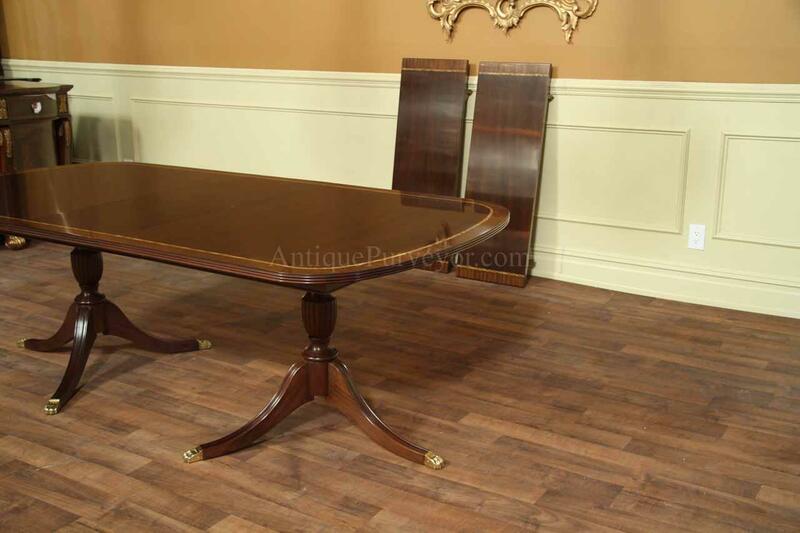 Make a dining table and chair set with the shown Chippendale dining chairs which are also refined and coordinate nicely with this fine table. Being this table is American made, we can custom order this table for you with special finisihes to better fit your rooms decor if needed. 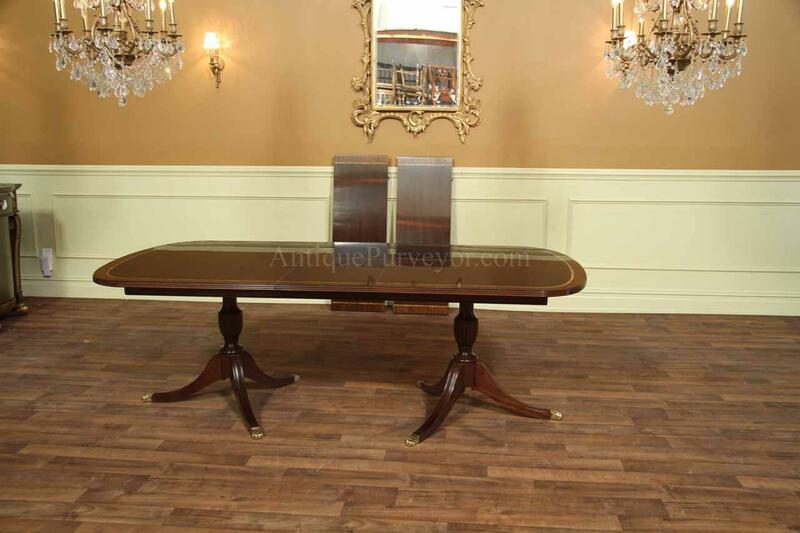 We can also adjust sizing as well.